Trent Wotherspoon’s campaign says the NDP leadership candidate's constituency office mistakenly paid for a provincewide Christmas message that was only meant for Regina-area television viewers. Trent Wotherspoon's campaign says the NDP leadership candidate's constituency office mistakenly paid for a provincewide Christmas message that was only meant for Regina-area television viewers. Under NDP campaign rules, constituency funds cannot be used to support a candidate's leadership campaign. Wotherspoon has represented Regina Rosemont since 2007. The commercial first ran on Dec. 18 and has aired four or five times, according to Wotherspoon's campaign. 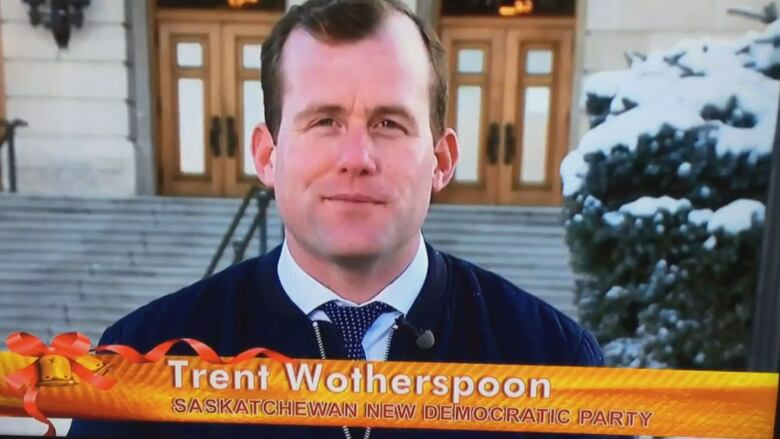 In the ad, Wotherspoon is standing in front of the legislative building and the graphic, "Trent Wotherspoon: Saskatchewan New Democratic Party" is shown on the bottom of the screen. "It's a special time in Saskatchewan, from our family to yours. I wish all peace and joy and may the new year ahead be filled with health, happiness and hope," Wotherspoon said in the ad. Mitchell Bonokoski, the lead organizer of Wotherspoon's campaign, said once CBC News alerted them the ad was running outside of Regina, the constituency office took steps to have the broadcaster pull it from a provincewide audience. "The MLA office put an immediate stop as soon as it was brought to our attention," Bonokoski said on Thursday. "There was never any intention on Mr. Wotherspoon's part to have MLA resources being used in the leadership campaign." Bonokoski said the origin of the error came from the constituency office paying for the same ad buy last Christmas when Wotherspoon was interim leader of the party. The cost for the 32 ads was $2,500. The leadership campaign will reimburse the constituency office for the ads that ran outside of Regina. Bonokoski said that will be between $400 and $500. 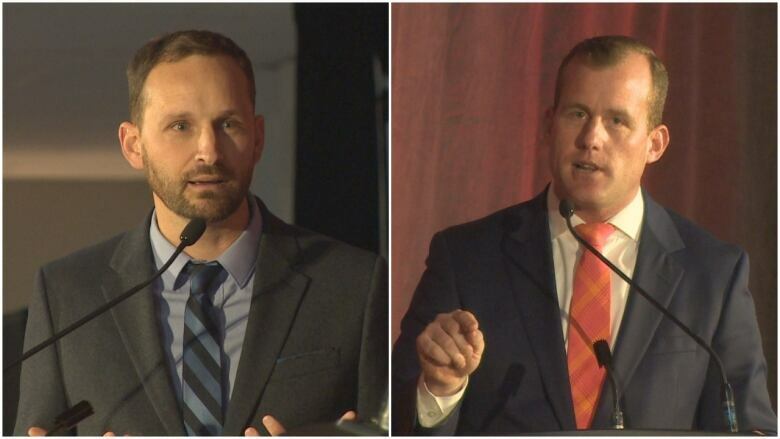 Wotherspoon's competition in the leadership race, Ryan Meili, said he was aware the ads ran outside of Regina but did not raise the concern with the provincial NDP. "It would be a concern if constituency funds were being used to promote Trent around the province," Meili said. After being told about Wotherspoon's plans to have the ads pulled and the campaign pay for them, Meili said he was satisfied. "It sounds like it was an honest mistake," Meili said. The NDP will choose its new leader on March 3 in Regina.